Save 20% on All Orders Today! Ginkgo Biloba Extract: Made from the leaves of the Ginkgo biloba tree, this remarkable herb has been used for thousands of years by the Chinese. Ginkgo is thought to have a positive effect on blood flow to the brain which supports memory along with cognitive speed. NervoniumTM contains a standardized extract made from Ginkgo biloba leaves providing 24% Ginkgoflavonglycosides and 6% total Terpene Lactones. Vinpocetine: While synthetic forms of this alkaloid derivative are offered in a number of European countries to help with cerebral blood-flow and neuroprotective effects, the natural form of Vinpocetine provided in NervoniumTM is extracted from the seeds of the Periwinkle plant, Vinca minor. 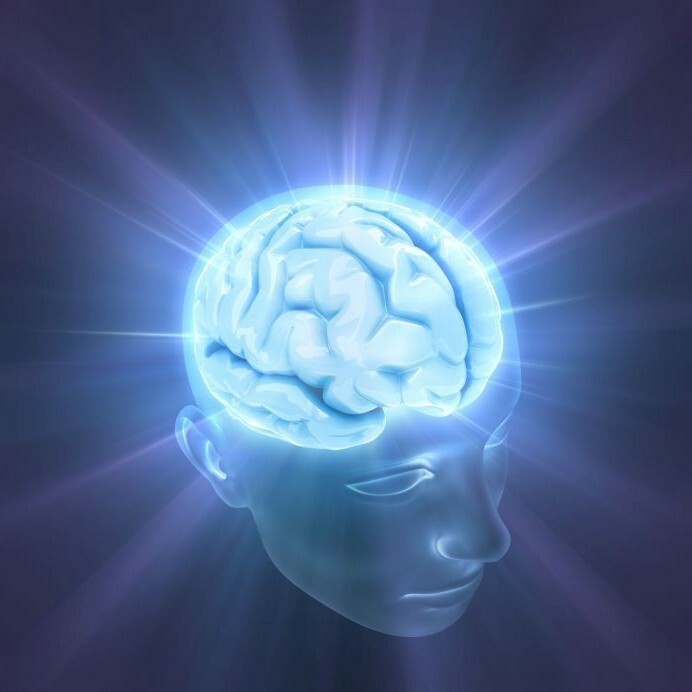 This renowned ingredient is thought to be effective for memory support. Huperzine A: This naturally-occurring ingredient is extracted from the aerial parts of the plant known as Fir moss, Huperzia serrata and may help support mental alertness and memory. Bacopa Monniera: Also known as Brahmi, the leafs of the Bacopa monniera plant are the source for a naturally-occurring chemical compound called Bacosides which are considered beneficial for supporting memory and attention. 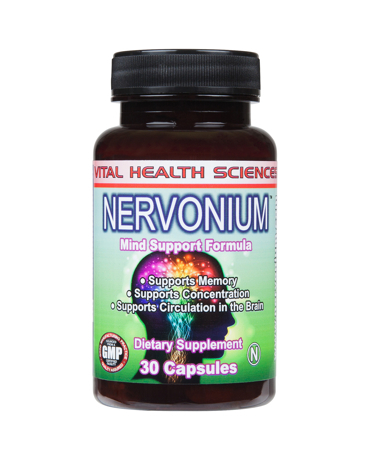 The extract used in NervoniumTM provides 20 milligrams of Bacosides per capsule. 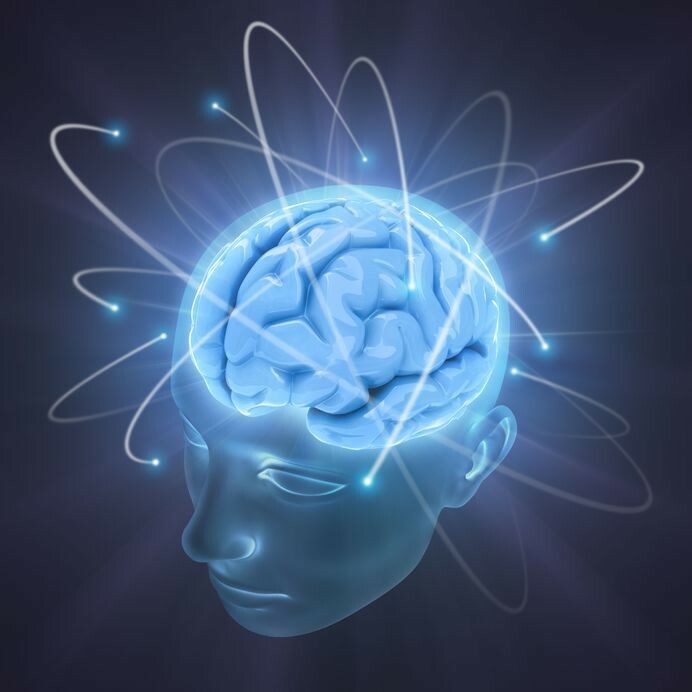 Phosphatidylserine Complex: Found in Lecithin, Phosphatidylserine is a naturally-occurring chemical thought to be beneficial in supporting memory and thinking skills. L-Glutamine: Considered as a “Conditionally Essential” amino acid and one of the building blocks of protein, L-Glutamine plays an important role in a number of critical body functions including memory. Under certain conditions, the ability of the body to produce L-Glutamine may be restricted and for this reason, each capsule of NervoniumTM provides 150 milligrams to help ensure adequate levels. Acetyl-L-Carnitine: Another amino acid which is also produced naturally by the body, Acetyl-L-Carnitine is thought to be beneficial for supporting blood flow and memory. St. John’s Wort: With recorded use of this plant dating back to 400 B.C., the ancient Greeks and Romans noted the use of St. John’s Wort for a number of health benefits. Made from the plant’s flowers, the extract of St. John’s used in NervoniumTM provides 0.3% Hypericin, the naturally-occurring substance thought to be beneficial for mood support. DMAE (2-dimethylaminoethanol) Bitartrate: A precursor to Acetylcholine, DMAE helps increase the levels in the body of Choline and Acetylcholine which play an important role in the many functions of the brain including memory. DMAE is also thought to be beneficial in helping to build, repair and stabilize cell membranes..
Other ingredients: Gelatin (bovine), vegetable magnesium stearate, microcrystalline cellulose and silicon dioxide. CAUTION: This product is manufactured and packaged in a facility which may also process milk, soy, wheat, egg, peanuts, tree nuts, fish and crustacean shellfish. KEEP OUT OF THE REACH OF CHILDREN. DO NOT USE IF OUTER SEAL IS DAMAGED OR MISSING. STORE IN COOL, DRY PLACE. SUGGESTED USE: 1 capsule taken 1 to 2 times daily preferably with meals or as directed by a healthcare professional.